Join our private league for weekly action and super cool fantasy league expert site badges! We'll have weekly updates on this topic for current league rankings, key upcoming fixtures and such. 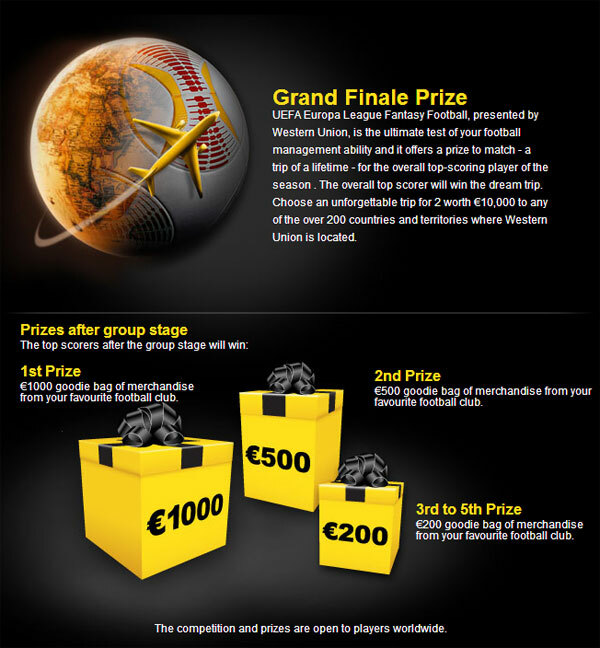 Also there are great prizes by UEFA and the fantasy league's sponsor Western Union. For those who will excel in the global rankings (beyond our private league). Eto vs Skrtel, Samba vs Suarez, this is to be a good match up. And one that due to ANzhi's home advantage a game that could go either way, and looks to be an enertaining game. Udinese lost away to Young Boys in gameweek 3 and could look to gain revenge against the Swiss Outfit, my money is on Udinese but Young Boys do have the potential to mix it up with this standard of opposition, and this one probably will be a high scoring game. You are reading "Fantasy Europa League 2012-2013".